Pioneers in the industry, we offer Computer Maintenance Service, Computers Repairs Service, Laptop Repair Service, LCD Repair Service, LCD Monitors and Laptop Repairing Services from India. » In case of major breakdown, continue to work with our standby machines till we set your systems right. » Our certified engineers will quickly puzzle out the problems to get your system back up and running. » You get to hire a team of engineers that are well informed and constantly updated. » We will backup all your data before we restore your system back to the factory settings in case of trouble. » We will optimize your systems security so that you will be protected from the future threats as well. We provide excellent computer repair services to our clients making use of the latest technology and machinery. We have with us a well equipped team of professionals who are capable of repairing any problems related to the computer. We constantly give training to our technicians to keep them abreast of the latest technological advancements. We provide a wide range of services Laptop Repair Services by experts for all makes, models, parts & accessories of laptop computer also providing services of laptop upgradation, and sale. We offered Laptop services in Coimbatore and surrounding areas. LCD Computer Monitor s a fully integrated hardware solution designed for the fast, efficient checkout of all library materials that carry barcodes. With the intuitive user interface, customers find the system incredibly easy to use. Providing a self-service checkout option helps save time and increase productivity which means staff can focus on delivering personal customer service. The bcs-series also offers the flexibility to customize receipts, screen graphics. We Providing better and quality of service and value added services and products to our customers all over the Delhi, we at Shipra Computer. offer computer services, Uses computers, uses laptops and annual maintenance contracts etc.. Offering all type of computer maintenance services and maximizing client satisfaction is our business philosophy and we ensure that our customers receive prompt and cost. We Providing better and quality of service and value added services and products to our customers all over the Delhi, we at Shipra Computer. 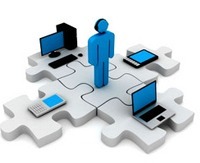 offer computer services, Uses computers, uses laptops and annual maintenance contracts etc.. Offering all type of computer maintainence services and maximizing client satisfaction is our business philosophy and we ensure that our customers receive prompt and cost.